As most of you might have noticed, posting has been slow for the past few weeks. The reason has been a combination of many things. First the big heat wave that passed through central Mexico left us with not much energy to do anything productive and it was compounded by power failures and communication problems. We also have been working hard preparing a bunch of new features that we wanted to launch earlier this month, but due to various delays and infrastructure problems we will launch them when things quiet down a bit around here, probably in late June. Though this site is hosted on a commercial host, we also maintain our own servers here for our other businesses, and for some clients. We spend the part of last week updating out Windows server, and now the next task is to do the same to the Linux one. I also need to add storage to our file server, so this sounds like it will keep me busy for a while judging the fun I had last week with the Windows server. We also have been intensively looking for a new place for the school as right now it is an ordeal for us to travel to the place we give the cooking and wine courses as it is on the opposite side of town from where we live. On a good day with no traffic it takes us close to 3 hours to get there from here, so it is a tad tiring to give the courses. Also it is far north on the other side of town and most people in the more central areas of the city do not want to travel so far. We have been looking for a commercial space to rent, or ideally for a large out with enough space for us, the Boyz, and for the school and of course at a price we can afford. IT seems very difficult to find something that matches all of our criteria. I think that this slowness of posting might last a few more weeks as I would love to find a proper place for the school and settle that once and for all, and also I need to do a lot of work both for the new things we want to launch here, and also on assorted other projects around the office. I will try to post something occasionally when I have a few free minutes, and we are taking picture and preparing new material for the site all the time. In the meantime keep cooking and enjoying good food and good wine and we will resume our regular posting schedule soon. The hot weather is back with us again today and after we had lunch we went back to the offices and after a few hours it was too hot to work. I went to give the dogs their supper and when I was coming back inside Normita wanted to go get a bit of fresh air. I joined her and we kept company to the boyz while they literally wolfed down their big bowl of food. I don’t know where they get the energy to eat so quickly on a hot day like this. 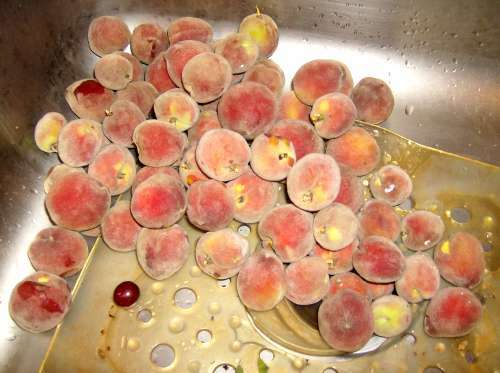 We walked around the yard a bit and then decided to harvest the peaches from the small tree next to the kitchen entrance. We had been saying we would do it since last week, but never got around to it. The neighborhood’s birds came down on that tree last week in day and feasted on the peaches and destroyed over 80% of the crop by eating half of most of the fruits and letting the other half rot. Normita went for a bad and a small stepladder and I went up in the tree and tried to salvage most of the peaches that were ripe and not half eaten by the birds. Bacchus and Uriel, the boyz, were around us and catching whatever peaches they could grab that were falling from the tree. They eat them in one bite crushing the stone. It is awe inspiring to see them do it. I hope that tomorrow that tomorrow they do not wake up with a store stomach, but from past experience they have eaten much worse without any problems. They seem to have cast iron stomachs. We will keep the ripest ones to eat and tomorrow or Friday we will probably prepare some “compote de pÃªches” with the rest. We will use that as a dessert over ice cream and I think that I did see that we had a frozen Cornish hen the other day and we might roast it covered with the peaches next weekend if we have some time. Yesterday when I posted the Daily Express I mentioned that I came in so quick that I did not even think of take a picture of the finished hamburger. 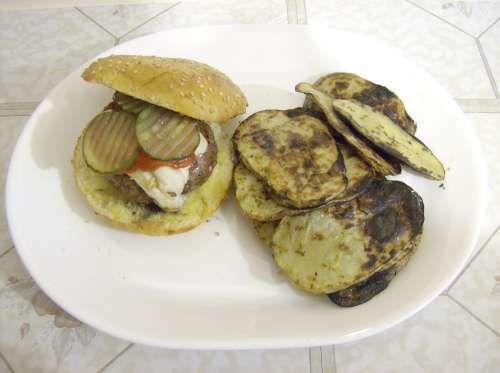 Today I could correct my mistake as we thawed 2 of the frozen patties and made hamburgers again with some grilled potatoes. Normita had her’s Mexican Style with avocados, ketchup, mustard, tomatoes, onions, pickles, Oaxaca cheese, and a nice big chipotle. 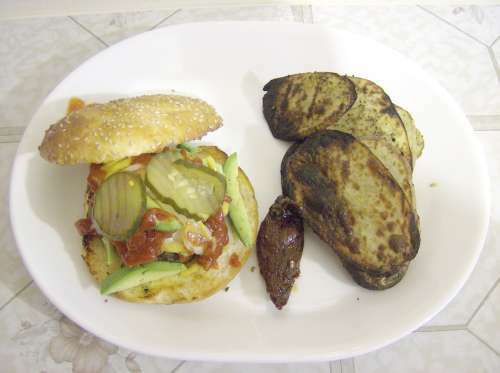 I am a lot more simpler in my taste and I simply put some ketchup and some pickles over the Oaxaca cheese and it was enough for me today. We have been very silent since the middle of last week as we had lots of meetings in town last Thursday and Friday and we had a very successful wine course on Saturday. Sunday we totally collapsed from the back and forth driving between here and the center of Mexico City we had business. With a drive of between 2-3 hours each way we were exhausted from the ordeal. Sunday we totally collapsed and I prepared some hamburgers with some nice ground beef we had bought on the way back from the course Saturday night. It was as complicated as I could manage in the condition I was. I like my hamburgers nice and juicy and well flavored. 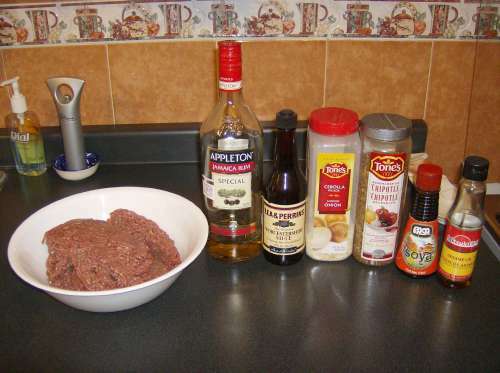 Depending of my mood I used different ingredients and on Sunday it was a combination of ground beef, rum, soy sauce, Worcestershire sauce, dried onions, some chipotle-based seasoning, and some sesame oil. 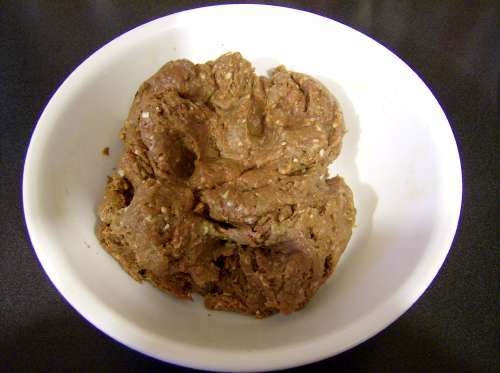 The recipe is easy you first put the meat in a bowl, put the ingredients on top, and then with your hand you make a big mess like my Chinese cooking teacher used to say. 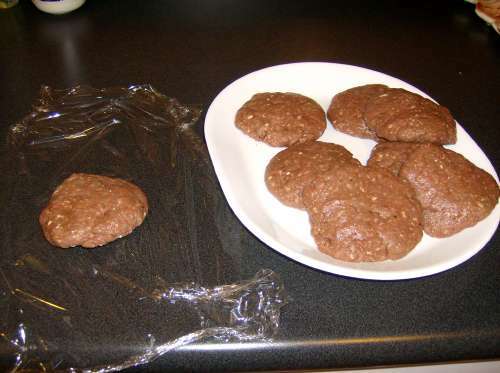 Once the mess is made I like to hand-form thick patties and it made a lot more than Normita and I could eat in one sitting. 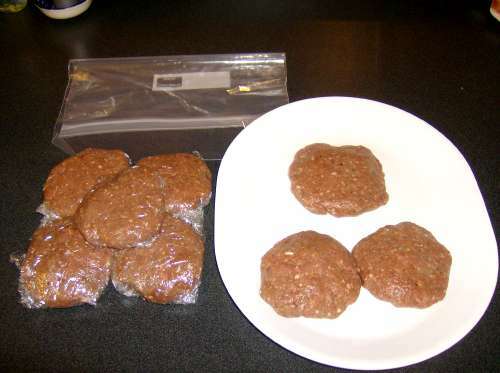 I individually wrapped the patties and froze them so that we can enjoy some nice burgers in the coming weeks with even less effort than I did Sunday. Today when I went to prepare the meal I found some unexpected ingredients for the marinade in the back of the refrigerator. A while back Normita had bought a bottle of Torito and we only had a few little sips and it has sat unused in there. Torito is an alcoholic drink typical of Veracruz, a state in the east of the country on the Golf of Mexico coast. It is a cream of peanuts, and I quickly thought of doing something like a cross between Thai and Mexican food. Torito is very sweet so I needed to cut that to make it palatable with the fish. 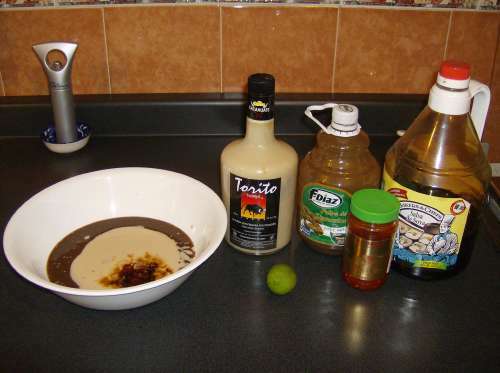 I also found some tamarind pulp and some fresh limes so I made a mixture of Torito with tamarind pulp and lime juice. 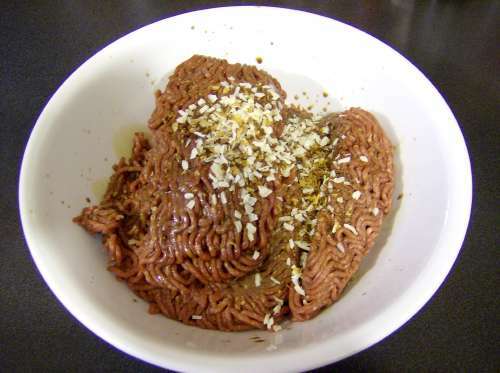 It lacked salt and chile to balance the flavor so I added some soy sauce and some chile paste until I got a satisfactory mixture. I then put my 2 pieces of fish filet in the marinade and refrigerated for 15-20 minutes while I finished preparing the rest of the meal. 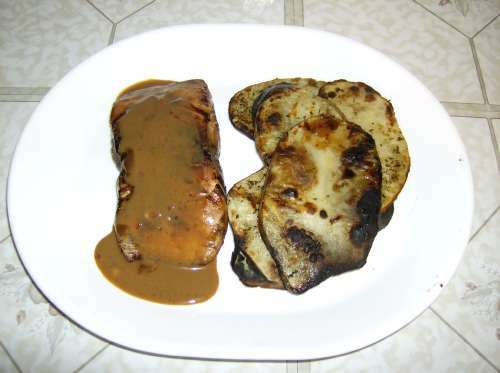 I had found some large potatoes while searching for ingredients for the marinade and decided to grill them with the fish. I sliced them, and then sprinkled some salt, pepper, oregano, and olive oil on them. I like to grill them on high heat until slightly burned. They get a great flavor like that. We had some frozen vegetables as a second side dish, simply heated in the microwave with a bit of butter, salt, pepper, and herbes de provence on top. I grilled the fish directly on the barbecue with the potatoes and the meal turned out surprisingly tasty. I served a little bit of the reserved marinade on the fish as a light tangy sauce. TodavÃ­a tenemos algunos lugares disponibles para el curso de este sÃ¡bado de â€œUna IntroducciÃ³n al Vinoâ€. Tenemos una promociÃ³n especial, si te registras con un amigo recibirÃ¡s un 10% de descuento. Los detalles estÃ¡n aquÃ­. Durante el curso aprenderÃ¡n las cosas bÃ¡sicas que necesitan para desmitificar el maravilloso mundo del vino. Al final de la parte teÃ³rica del curso, hacemos una degustaciÃ³n formal de 7 vinos diferentes. Todo el material del curso estÃ¡ incluido en un CD, incluyendo una copia gratis de nuestro software profesional de cata. El costo del curso es de $1,350.00 ($1315 si te registras con un amigo) y requerimos un depÃ³sito de $350.00 para reservar su lugar. Reserve ahora porque hay solamente algunos lugares disponibles. We still have a few available places left for this Saturday’s “Introduction to Wine” course. We have a special promotion if you register with a friend, you get 10% off. All the details are HERE, or call us at 1736 9016 in the Mexico City metropolitan area. During the course you will learn all the basic things you need to demystify the wonderful world of wine. At the end of the theoretical part of the course we do a formal tasting of 7 different wines. All the course’s material is included on a CD, including a free copy of our professional wine tasting software. The course’s price is MN$1350 (MN$1215 if you register with a friend) and we require a MN$350 deposit to reserve your spot. Reserve now as there are only a few spaces left. The heat has yet to letup here in Mexico City and the entire region is plagued by high heat and high levels of pollution. We had planned to go out today, but neither Normita nor I have the energy to face up with the heat down the hill. I guess that it will be for another day. 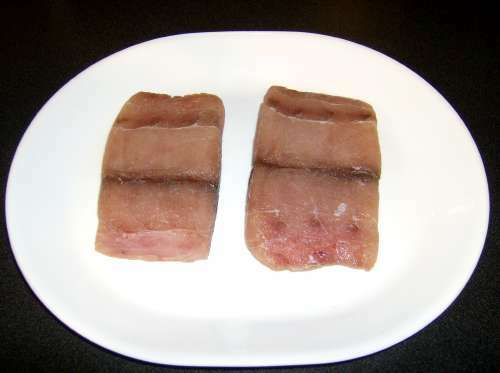 I thawed a nice piece of dorado or mahi-mahi today. It is sitting in the refrigerator waiting for me to decide what to do with it. Since the is minimal wind today I might do something on the barbecue. I will definitely marinate it first, in what I still have no idea as I have looked into what we have left yet. 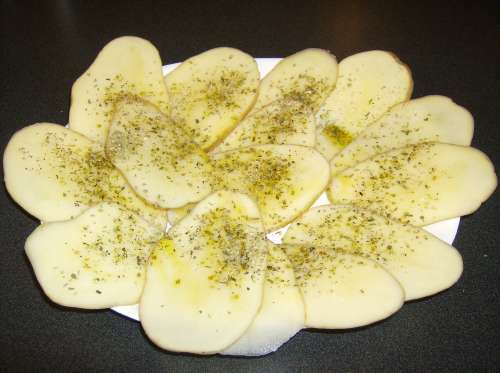 I think we have some nice large potatoes, so I guess I will grill some nice slices of potato first, and since I do not think we have anything fresh in the refrigerator I will have to used some frozen vegetables as a side dish. Later I’ll post the details on how I prepared the dorado.